Lawmakers in the U.S. Congress are working on legislation to regulate the testing and deployment of autonomous cars and trucks across the country. Last week that bill passed a crucial benchmark, receiving unanimous approval in a U.S. house committee. But the measure leaves out large commercial trucks, and that’s probably a foolish thing to do. To be clear, the legislation still has a long way to go—the full House has yet to take up the bill, and competing measures are sure to come from the Senate, as well. The bill passed last week by the house committee allows autonomous vehicle testers to significantly ramp up testing of cars that don’t comply with safety regulations, from 2,500 to 100,000. It would grant the National Highway Traffic Safety Administration sweeping powers to create new safety standards for self-driving cars and would prohibit state legislatures from passing their own laws that oversee the design and operation of autonomous cars. What’s key, though, is that the House included a 10,000 pound weight limit in the legislation, effectively boxing out automated semi-trucks, Bloomberg reports, and making it so they can’t be deployed under the law similarly to passenger cars. The reason? Union officials are clearly out front, trying to bat away the inclusion of trucks in the bills, saying autonomous technology puts innumerable jobs at risk. “It is vital that Congress ensure that any new technology is used to make transportation safer and more effective, not used to put workers at risk on the job or destroy livelihoods,” Teamsters President James P. Hoffa said in a statement that was reported by Reuters. It’s true that the trucking industry is a likely first target for autonomous technology to be deployed. But we’re still many years away from seeing self-driving trucks on the road that don’t require an operator of some sort. If you equate it to pilots – you still have pilots in the cockpit. They do the taxiing, they do the takeoff, they do the landing. What we’re talking about is at cruising altitude hitting that autopilot button. For a trucker, it’s really the long haul. That’s where you really get the return on this kind of investment. Fear of displacement is an obvious issue that needs to be addressed, and automakers have been clear that widespread deployment of driverless cars across the entire U.S. is still decades out from happening. But testing and deployment of automated big-rig trucks is already happening right now, and with a patchwork of state regulations guiding autonomous truck developers, it only makes sense for the feds, in this instance, to step in and pass legislation that provides uniformity. Take what happened with Otto, the former self-driving truck subsidiary of Uber. 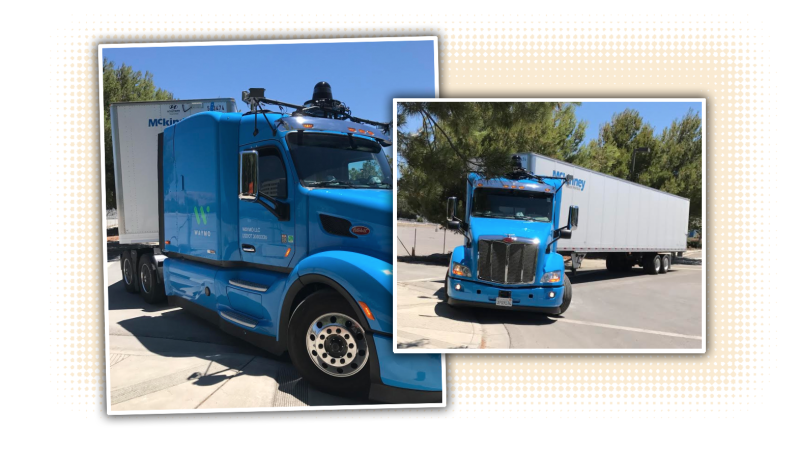 The company was found to be testing self-driving trucks in California, potentially in contravention to the state’s law overseeing the deployment of autonomous vehicles. But in Colorado, it’s OK to test more advanced automation. As Otto put it, in California, it only used “driver-assist” tech, but in Colorado, the capabilities were expanded. The testing’s going to happen no matter what, and having different guidelines as soon as you cross a border ultimately makes for a confusing and difficult experience for testing and, in the future, driving purposes. Skeptics could look to the episode that tipped off California regulators to Otto’s tests—a beer run in Colorado—on how self-driving tech is likely to be deployed in the trucking industry for the foreseeable future. As we reported at the time, a 120-mile stretch of driverless beer-trucking was handled by a professional driver who was present the entire duration of the trip, while keeping an eye on things from the sleeper cabin. The situation showed how professional truck drivers can, and will, be utilized when automated tech finds its way into the trucking industry in the near future. The concerns about job displacement are nonetheless valid—one study estimated as many as four million jobs could be lost from the implementation of autonomous tech—but fighting to keep trucks out of the legislation only temporarily puts off the inevitable. (Unless, of course, Congress wants to heavily-regulate autonomous trucks, but with the makeup of the legislators, that seems unlikely.) And even if a time comes when automated trucks first hit the road in droves, an operator will still be needed. That’s why Congress should consider measures to oversee commercial trucks, as well. Uber, Google’s Waymo, and a number of start-ups, are all testing automated trucks. Without any guidance, they’ll be virtually left to their own devices. Automation is deeply troubling for the potential job losses, but it makes no sense to give tech companies free reign to test in places that barely have any regulation.